According to the World Health Organization (WHO), driver visibility is one of the foremost causes for traffic accidents internationally. PRB.org estimates that as much as 1.2 million people are killed in traffic accidents every year, with even more being injured. With terrible weather conditions and bad driver visibility, the chance of being involved in a traffic accident can dramatically increase. Here’s how you can maximize driver visibility to ensure the safety for yourself and others on the road. You should know how your vehicle performs and handles in moderate weather conditions before you are forced to drive it in worse weather. Driving through rain, fog or snow? The first step is to slow down your speed and maintain a safe following distance between you and the next vehicle – far enough to see one another clearly in weather conditions, but not close enough to bump cars if one should come to a sudden, forced stop. You should always switch on your headlights when you see the first signs of bad weather and a decline in visibility approaching – even when the other drivers don’t. Your headlights will allow the cars in front of you to see you driving behind them, and the added light might even help other cars to see the road. You should also switch on your emergency back lights in particularly bad weather, especially if you’re sure that another car behind you won’t be able to see you, or doesn’t have their headlights on. 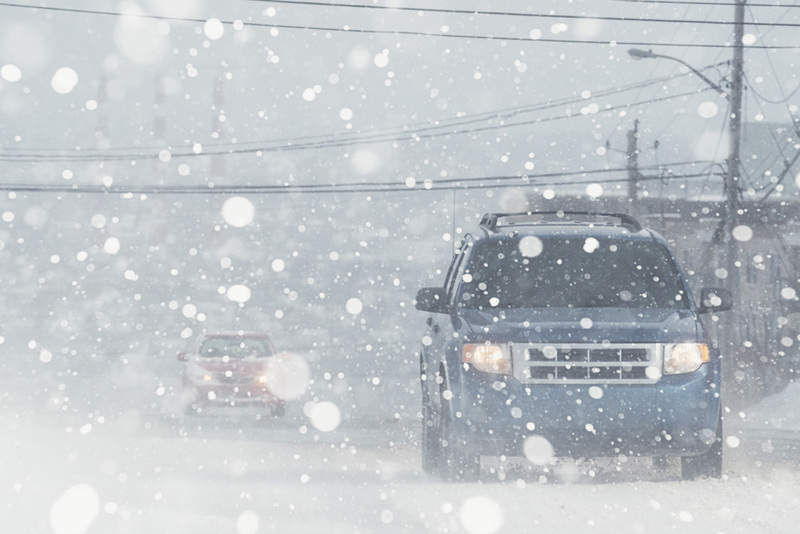 If you drive in bad weather conditions often, consider getting visibility decals for your car and place these in the back, front and on the sides. These can help to increase your visibility on the road during nighttime or terrible weather. Our workmanship is second-to-none when it comes to complete auto body repair. In addition, we have years of experience in aluminum vehicle repair.